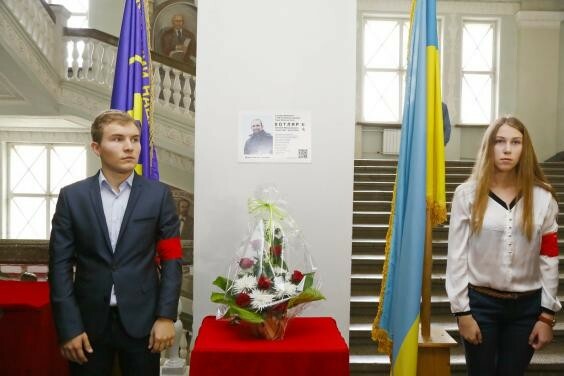 On the 15th of September, took place the inauguration of the memorial plate to Evgen Kotlyar at the Kharkov National University of Radio Electronics. The opening was attended by students, teachers, father of the deceased and the governor of the Kharkiv region, Igor Rainin. 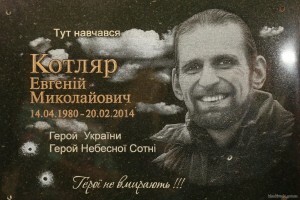 History: Evgen Kotlyar finished faculty of computer engineering and management in 2002, was an active participant of Еuromaidan, a member of Maidan Self Defense, and died on February 20, 2014, on the Institutskaya street, in Kiev. 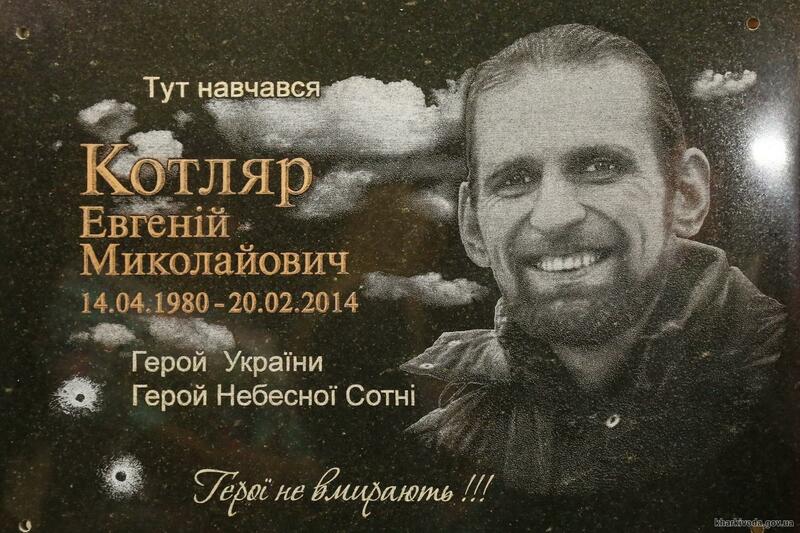 Recall, President Petro Poroshenko, by his order on November 21, 2014, posthumously entitled Hero of Ukraine three Kharkiv citizens who had died during the Revolution of dignity: Vladislav Zubenko (born in 1991), Yurii Parashchuk (born in 1996), and Yevgen Kotlyar (born in 1980).